Baggage Capacity 77 cu. ft. 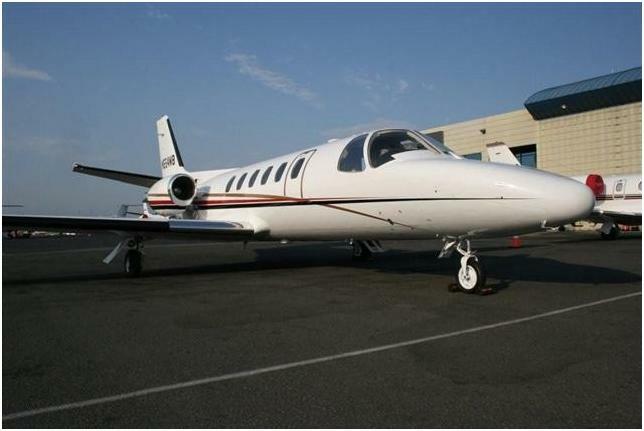 The Citation II is Cessna’s best-selling private jet: This light jet is a flexible and economical option that has the power and comfort you want for your private jet charter. The Citation II boasts a high cruising speed of up to 374 knots and its two Pratt & Whitney JT15D-4 engines each produce 2,500 pounds of takeoff thrust. At a climb rate of 3,000 feet per minute, the Citation II reaches cruising altitude quickly and easily, up to a maximum ceiling of 43,000 feet. 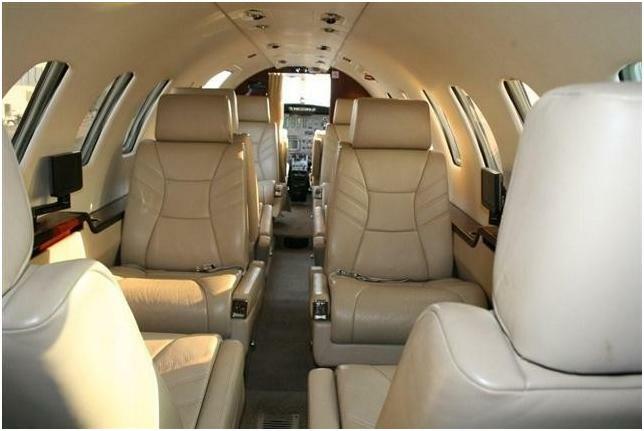 This Citation II seats six to eight passengers. This corporate jet charter also features a privately enclosed lavatory and slimline refreshment center. The reliability and durability are best expressed through its design, which reduces the effects of Dutch rolls and greatly improves the ease of takeoffs and landings. The Citation II’s business jet charter aviation pedigree continues in the cockpit, which was named the “best human-factored cockpit in general aviation” by a leading aviation magazine.